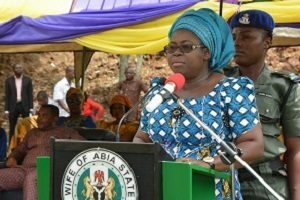 Closing Civic Spaces In Nigeria | Abia Headmistress demoted for embarassing Ikpeazu’s wife. Maryleen Ezichi, an headmistress of a primary school at Amaetiti Asaga Ohafia in the Ohafia Local Government Area of Abia State was reportedly demoted for complaining about non-payment of teachers’ salaries to Nkechi Ikpeazu, the wife of the state governor, Okezie Ikpeazu. She was reportedly demoted to the position of a classroom teacher. Legal Foundations Section 39 of the 1999 Constitution of Nigeria give people freedom of the right to expression and the right to hold and impart information. Rights Implicated Maryleen Ezichi's right to expression and information was infringed. Ezichi was transferred to the Ukwa-East Local Government Area — about 140 kilometers from her former school — to serve as a deterrent for her ‘impunity and lack of respect for constituted authority’.